My educational experience in language, literature, and politics has exposed me to several pedagogical approaches. Teaching experience in French language and literature in particular has strongly shaped both my current teaching philosophy and my pedagogical practice. From these experiences I have found that it is crucial to create an open, yet intimate, environment to facilitate discussion, and to provide a range of activities and assignments in order to engage all students. I believe that students are better prepared to learn if they feel a connection to the course material, and I strive to produce the spark of comprehension that occurs when the student finds that connection. My objectives are to have my students walk away from my politics and environmental studies courses with a new understanding of the world, their place in it, and the tools to formulate action plans of their own. In order to facilitate this process, I make an effort to focus on debates of contemporary political and environmental issues and to provide a space where students are comfortable participating in discussion. I also use varied assignments that build on each other, so that students have many opportunities to connect to the material. This approach creates a clear structure of my expectations for student performance and the purpose of their work. Before developing a connection to and an understanding of the world and the environment, my students must first learn the concepts and theories of the discipline. A primary goal of my teaching then is to build that knowledge through lectures, group discussion, role-playing and simulation activities, in-class writing, and research assignments. My background in language acquisition methodology has supplied me with a strong foundation in how to reach different types of learners, so that these activities provide different avenues to finding that spark. In addition, my own undergraduate education at Ursinus College – a small, liberal arts college – was based on highly interactive classrooms in which an exchange of ideas through discussion was prized. I recreate that atmosphere in my classrooms so students will learn that they have a perspective to contribute to the class, leading to confidence and effective participation and learning. The goals that I set for a course depend on course content, size, and level, but in general they are designed to help students develop understanding of the material and build the skills that they will need to be successful in completing their college education and in their future careers. 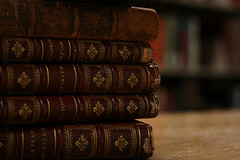 For example, the learning objectives of my Topics in International Politics class emphasize learning the basic concepts and theories of international relations, identifying these ideas in real world interactions, collaborating as a team for simulation scenarios, selecting and researching a current event, and applying that research in a final paper. 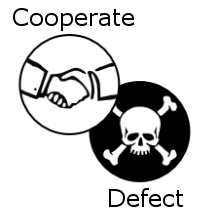 Other assignments include individual and team writing tasks, shorter role-playing activities (such as a Prisoner’s Dilemma game on security issues), and structured discussion on current events. 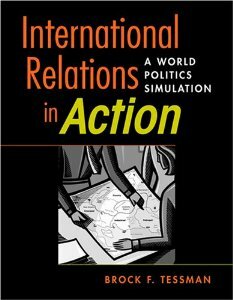 This work both reinforces international relations theories and prepares the student for the integration of the simulation, International Relations in Action (IRiA), into six class sessions. For IRiA, students are assigned to “states” and leadership roles within the imaginary world of “Politica.” During the course of the simulation, students pursue objectives assigned to their state in scenarios that focus on issues in international security, international political economy, and international law and organizations. They produce individual and team background reports before the start of the simulation and scenario outcome assessments after each round, and they engage in media campaigns to win the “hearts and minds” of fellow Politicans during the weeks spent on IRiA. At the end of the term, each team presents a review of their own efforts over the course of the simulation, considering what they might have done differently with hindsight. The simulation gives the students the opportunity to see the concepts and theories at work in their diplomatic negotiations and efforts and to reflect on their learning process. It has also led to high levels of interest in international studies among my students, resulting in students restarting the Model UN Club on campus and requesting to return the following year to act as “advisors” to the next generation of Politicans. Each phase of Topics in International Politics is designed not only to allow students to access the material from different approaches, but also to allow me as the teacher to have several opportunities to assess research skills and comprehension of the material. In earlier versions of my Introduction to IR courses, I structured the class around midterm and final essay exams. However, I found that even though my students were successfully completing the work, they did not seem sufficiently engaged with the material. By shifting the focus to developing research skills, building knowledge, and creating space for true engagement, there are more opportunities for that spark of connection to occur. Students also have more chances to show how they have improved over the term, which indicates real learning to me. Finally, the new structure places them squarely in the world of international relations, as they run their own states in the simulation. In my upper-level courses in environmental studies and science and technology policy, I use similar methods of engagement, except with higher-level assignments like more in-depth policy analyses. The final components of student learning come through research and mentorship. My interdisciplinary background has given me the opportunity to develop courses that reflect my research interests, including The Politics of Food and The Politics of Plague at WPI. In class, I frequently draw on my own research in terms of content and structure as a teaching tool to give concrete examples of public policies and international law at work. I am also currently working with a team to create interdisciplinary teaching materials for my Environmental and Risk Communication course. With funding from the InTeGrate Program through Carleton College, we are developing a module on Major Storms and Community Resilience that incorporates topics in political science, geoscience, and emergency management. Furthermore, my teaching has begun to inform my research. Once the module is complete and piloted, we will be publishing the materials and results. And, based on feedback from my experience as part of the Faculty Learning Community at WPI, I will be collecting data from the next iteration of Topics in International Politics to present at the APSA Teaching and Learning Conference, with the long-term goal of publishing those results as well. Varied classroom experience has allowed me to mentor students in numerous ways, whether it is teaching Rutgers students in Paris for a summer abroad or supervising senior theses at Brooklyn College and UNH. The project-based learning curriculum at WPI has also given me extensive experience in advising, from working with students on their SURF Program and Major Qualifying Projects to overseeing Interactive Qualifying Projects both on campus and at the London Project Center. Advising opportunities have allowed me to develop my own research agenda further as well. 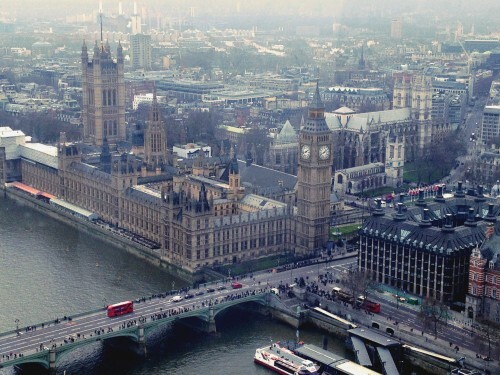 In London, I oversaw students’ work with borough councils and non-profit organizations interested in political and social issues. I view my mentorship role as an integral part of being a professor, not only because it allows me to connect with my students in another capacity, but because it also allows them the chance to connect with me.